You want to rent a reliable car for your next night stop or holiday? You don’t want to pay too much? 38% discount with Alamo? You have found the right place! A lot of crew members and airline staff are renting cars via us each day. They tell us they love the travel industry discount and service. You will be satisfied too! Need to amend or cancel your booking? Please read our FAQ. Need a car in the USA or Canada? Hundreds of satisfied crews every day! This is the secret deal everybody is talking about en route! I want to rent my car now! I am an airline pilot working for Irish airline company Ryanair. I am going on vacation from the 11th of August ( landing in FLL) till the 23rd of august ( departing from MIA). Hi Ubaldo, great to have a holiday in Florida! You can use the booking engine above to rent your car with Alamo. The discount codes for Airline Staff are already included for your convenience. If your decide to rent for 4 days or more, you will get a free tank of fuel as well! Hi Gary, you do not need to enter a code. All prices are discounted already for your convenience. Hi, Im a retiree airline employee and and plan to travel to U.S.A there any discount rate por us? I would like to rent a car for three days can you send me info please. As a retired Airline Employee you can rent cars via us! Just follow the links on our website. 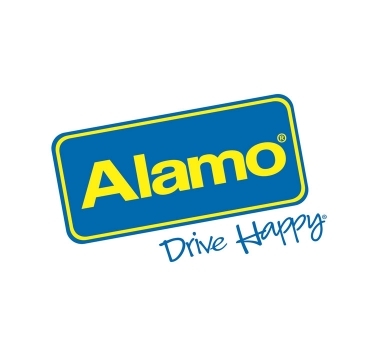 For ALAMO USA, you do not need to enter a discount code. Prices include all the discounts and other extras. If i make a web booking for airline staff, but need to cancel in the week before the rental (at Alamo) starts, is that free of charge? I do not read anythink about that in the FAQ page …. Cancellations are accepted up to one calendar day before reservation date. Reservations canceled more than 24 hours before the pick up time are free. If the reservation is canceled within 24 hours of the pick up or if the reservation is not used, a $50 cancellation fee will apply. Please note that you must present the card you prepay with at the time of rental pick-up. If a Pay Now reservation is canceled more than 24 hours before the pick up time, a $50 cancellation fee will be assessed. If a Pay Now reservation is canceled within 24 hours of the pick up or is not picked up at all, a $100 no-show fee will be assessed. Any optional insurance or CDW product selected at the time of reservation may be canceled at the counter at the time of rental without incurring a cancellation fee. In the case of using Online Check-In in conjunction with Pay Now, a cancellation fee may be applied. Otherwise, there is not a cancellation fee associated with Online Check-In. I am planning a vacation trip in USA (Miami and Orlando) and I need to rent a car with 7 seats. Do you have any SUV (with 7 seats) or Van to be rented ? I did not find it in the search. I am going to rent in Florida this July and ‘am looking at the Gold Package for a full size car. I see that CDW is included and described as “Collision damage waiver full”. Can you please explain with this what is my financial liability in the event of damage occurring to the vehicle. Like wise for theft. My wife works at Hilton Manchester airport (UK) is she allowed a discounted rate with your company? We are coming over on the 18th feb for 2 weeks to show our Grandaughter the wonders of Disney!! Great to hear from you. All airline staff from all over the world can use our discounts. The car deal you are looking at is really the best. Have a wonderful time in the USA! And, as an addition, also airport staff can use our discounts. Hello, I work in a Brazilian travel company and I live in Brazil, I’m going to Orlando vacation 7 days, is it possible to rent the car with you too? Sure Caroline, please bring any kind of proof with you that you are working in the travel industry. I work in the tourism industry but I don’t have an airline id card. Can I still use this site to book? And if so, what do I need to bring at the reception desk? Will a business card do or are there any other requirements? Hi Daniëlle, just bring any proof to the reception desk. Your business card or a copy of proof you are working in the travel industry. For the last few days, i’ve been trying to make a Rental car reservation via your site. (as KLM Airline staff). However, i cannot complete the booking and it seems as if the website is not working properly. I can select the pickup and return station and i’m able to enter all required data. Then, the page on which you can select a car shows. However, when i select a car, the website continuously shows ‘Loading Options’ and nothing else happens. Dear Peter and all other crew. Alamo has an issue on their website. They are working on it right now. Hopefully this will be solved soon. Please try again in a few days. Thank you very much for your understanding and our apologies. The Alamo link on your website doesn’t work for modifying/cancelling existing reservations – please advise the correct link????? Dear Alison, thanks a lot for your feedback. You are absolutely right! The link is changed. You can now view your existing reservation via this link: https://partners.rentalcar.com/alomax/ and click on Existing Reservations (just below Driver’s Age). Hi, I would like to know, could I pay in cash at time of rental? All payments regarding car rentals are with a credit card.